Our challenge was to turn a great mall into something bigger, a place where real community experiences happen. That was the starting point, the driver that culminated in our new customer experience model. Each year, the World Retail Awards recognizes the very best retailers and retail initiatives across a range of categories. Winning an award aligns a business with the world’s most visionary, influential retailers. This year, Riley Group Inc., in partnership with Starwood Retail Partners, received the award for Best Customer Experience Initiative – Shopping Mall Owners. As the only U.S. Company to be considered in this highly competitive category, Riley Group made the shortlist – and ultimately won – even though it was pitted against international powerhouses based in Dubai, The United Kingdom, The Philippines, China and Bahrain. As part of Starwood’s guest experience strategy initiative, Riley Group and Starwood Retail Partners surveyed areas of potential growth in malls. The two companies had worked together for several years, developing high-level strategies to create positive customer experiences, looking for areas of potential growth in malls, and identifying new opportunities to improve the customer experience. To tackle the initiative, it was important to recognize the evolution of malls in the U.S., and understand the challenges. In order to reenergize community malls, improve the customer experience, and fuel the public’s desire to come back to the mall, Riley Group looked at changes that would drive relevancy to the local community. The award-winning project – Live 360° -- sought to reestablish the mall as the leader in identifying trends and influencing community culture, serving not only as a place to shop, but as a way to foster meaningful, two-way, interactive communication. To that end, Riley Group surveyed typical mall customers to determine what was relevant to them, at the local level, looking to tap into their ideas and creativity, and align community engagement with current consumer trends. The Riley Group identified cultural engagement and life enrichment as macro-trends, concepts that were replacing “entertainment’’ as it had always been described. The new strategy enlisted the help of urban revitalization specialists to bring to life the principles of “placemaking,” initiatives that focus on building spaces and programming for and by the community. This bottoms-up approach to building community creates relevant and authentic experiences for customers. In 2017, Starwood began rolling out Live 360° with help from the Riley Group. Today, every Starwood property receives Live 360° training, where the skill sets the program requires are identified, and the necessary community outreach tactics are demonstrated. Every Starwood mall kicks off the Live 360° program by brainstorming a list of local partners. The community then hosts a workshop to better understand the neighborhood’s needs. From there, programming is built by teaming up with talented local leaders, who host events and activities focused on how the community itself defines art, fitness, cooking, gardening, For example, a property in Florida launched a Teen Art Salon. A well-known art educator conducted a four-week residency mentoring young artists. A collection of malls in Ohio initiated The Strangers Project, which included an interactive art display focused on powerful, personal stories that when shared, bring communities together. And in Lincoln, Nebraska, Open Mic Nights in the food court gives local, talented musicians a place to both perform and share their unique talents. About The Riley Group Inc. 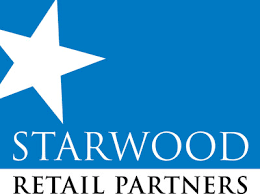 Owned by Starwood Capital Group, Starwood Retail Partners is the fifth-largest manager of regional malls in the United States, with 30 malls and lifestyle centers in 16 states across the country. Since its founding in 2012, the team has focused on redeveloping, managing, leasing and operating the next generation of shopping centers focusing on a new generation of shoppers and an increasingly interconnected consumer.